Well, a dream of mine is coming to fruition. Folly Beach Dances is going to print. I’m so happy. Thanks for all who helped in the process. New York Times bestselling author, Karen White – Her book, Return to Tradd Street debuted at #6 on the NYT bestseller list couple weeks ago. Thank you for always dedicating time to your fans, and being so gracious. Joe Palazzolo, reporter for the Wall Street Journal, is a prolific writer and a wonderful cousin, as well. I enjoyed our holiday talks at the dining room table, always keeping an ever-watchful eye on Beatrice, the border collie. Deborah Marshall, Founder Warrior Arts Alliance; Past president of Missouri Writer’s Guild, is a positive force in the life of many. Deb’s dedication to our unsung heroes and veterans is commendable. Always encouraging, she assists developing their voice through writing, art, and photography programs. I’m indebted to Deb; she’s a wonderful friend. Sandra Carrington Smith, bestselling author of The Book of Obeah, my mentor. I thank you for her advice and wisdom over the past two years. You’re a sweet soul. Max Gersh, staff photographer for the Rockford Register, is an exceptional photojournalist I met through Saturday Writers. Max, I’ll never forget your whimsical journalistic video on the St. Louis Clydesdales. Dianna Graveman, MFS, Editor, Author and Educator, spent several hours mentoring me on social media at a local Starbucks. It was pouring rain outside, and there was no better place to be….Thank you. Tracy Hoobyar, Living Hope Health. You’ve always been like family to me. Thanks for interviewing me on my very first podcast! My award-winning women friends Pat Wahler, Mary Horner, Patt Hollinger Pickett, Marcia Gaye; and songwriter friend Tina Solomon, who wrote poetry and prose for the book. I love you all. Thanks to my hubby, Russell, who collaborated with me on the photos. He even penned a poem, although he doesn’t claim to be a writer. My book designer, Kristina Blank Makanski. What can I say? You’re indescribable. Thanks to Debbie Kersting, Director Gateway Chapter of the Leukemia and Lymphoma Society, for writing the foreword for the book, and understanding my mission. 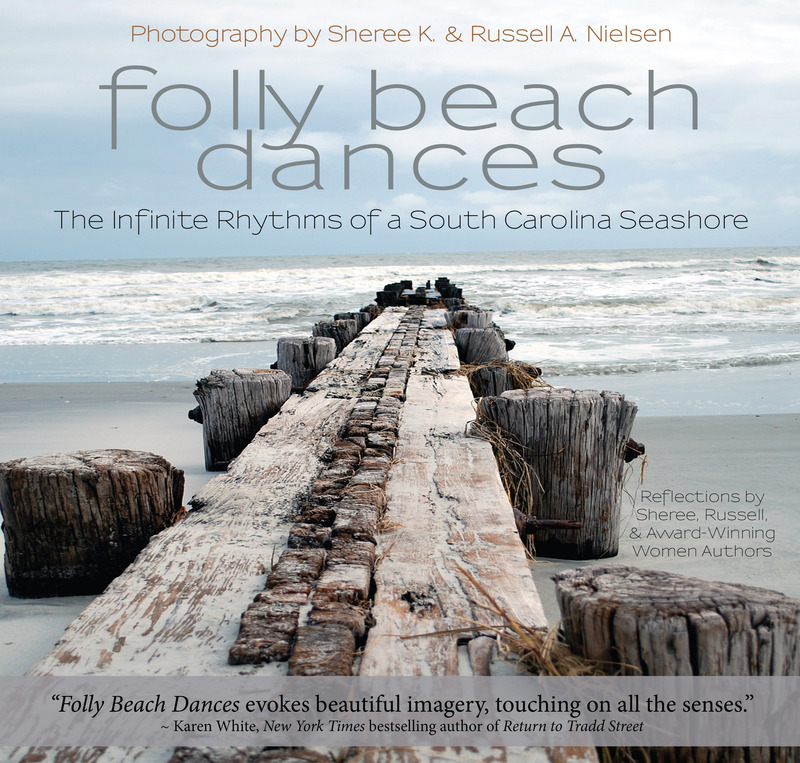 Thanks to Jan Morrill who helped organize the website for Folly Beach Dances, which is still a work in progress.